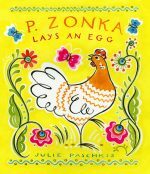 Extraordinary hen P. Zonka spends her time taking in the beauty around her: shiny green grass, buttery yellow dandelions, deep blue sky. The other hens can’t understand why she never lays eggs like they do. Finally, P. Zonka gives in and lays an egg. To everyone’s delight, she produces a wondrous egg containing all the colors and designs that she stores in her imagination. 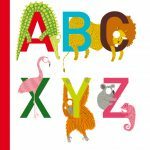 Funny flamingos, cute koalas, and orange orangutans are just some of the animals who bring the pages of this illustrated alphabet book to life! ABCXYZ is not just any alphabet book! If your family enjoys learning languages you’ll love how each letter of the alphabet introduces you to animals that have the same name in different languages. 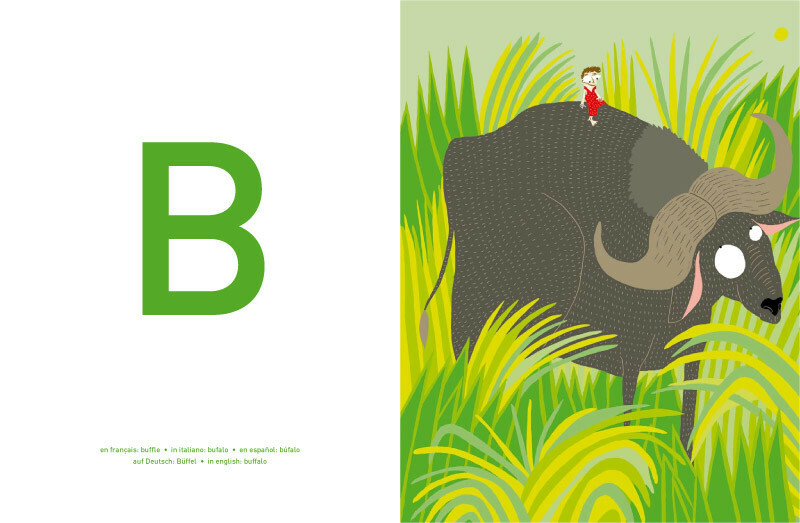 For example, B is buffalo (in English), buffle (en Francais), bufalo (in Italiano), búfalo (en Espanol) and Buffel (en Deutsch). Adrienne Barman’s illustrations are large, striking, and full of character thanks to her quirky-eyed creatures . It’s a great follow-on from her book ‘Creaturepedia (Welcome to the Greatest Show on Earth)’ and is also full of wonderful pictures to ignite the imagination. As well as finding this book fun to look at, we also learnt about some unusual animals such as the dromedary, jabiru , quetzal and narwhal. Adrienne Barman spent her childhood in the highlands of Southern Switzerland and obtained her graphics diploma at Lugano. In 2001 she moved to Geneva, where she worked for five years with the collective SO2 Design while also working with Le Courrier. She also enjoyed being close to wildlife there. Since 2007 she has devoted herself to illustrating for publishing and press, and lives in Bordeaux, France. Here are a few of my favourite hands-on activities that make learning about the alphabet fun for little ones! 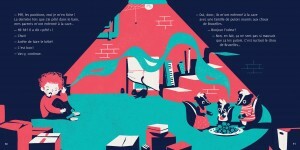 Maman Renard by Amandine Momenceau (published by L’Agrume, 2015) is an exquisite children’s book with a tender story and large bold pictures featuring page cut-outs to encourage discovery. Children won’t be the only ones who enjoy this beautiful book, adults who love good illustration and design will appreciate it too. 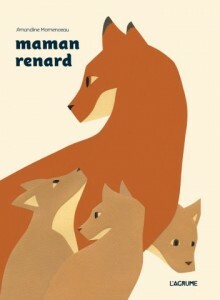 The French word for « Fox » hasn’t crossed our path very often and has been a hard one to remember, but after reading Maman Renard a few times we now know it! The words in the story are simple and perfect for young children and beginners of the French language. Amandine Momenceau was born in 1987 and graduated with a master of graphic arts. 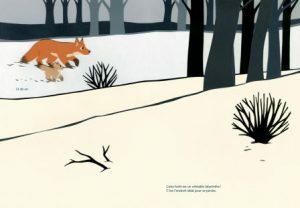 Her research on the creation of children’s books led her to discover different ways of reading a picture book, but mostly, she discovers a growing passion for the book as an object and the technique of paper cut. 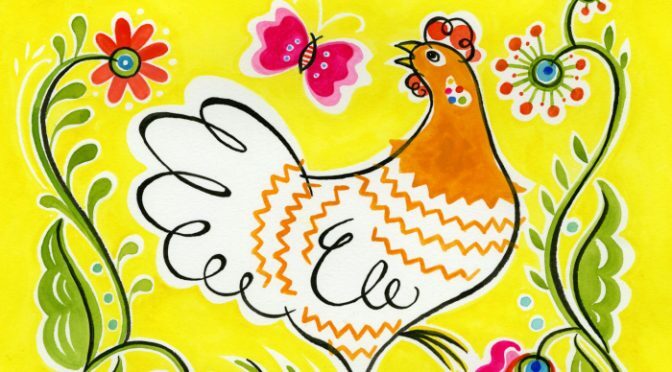 Inspire paper-cutting in your family by trying out some of these activities on the Mum Junction Website: 10 Simple Paper Cutting Art and Craft Ideas for Kids . You may like to cut out animal shapes as part of a story or create fun 3D cut outs.